Skeeter’s owners treated the monkey, as is often the case, like a human primate, and fed him human food, got him addicted to television, and we later found out, neglected to get him any veterinary care. 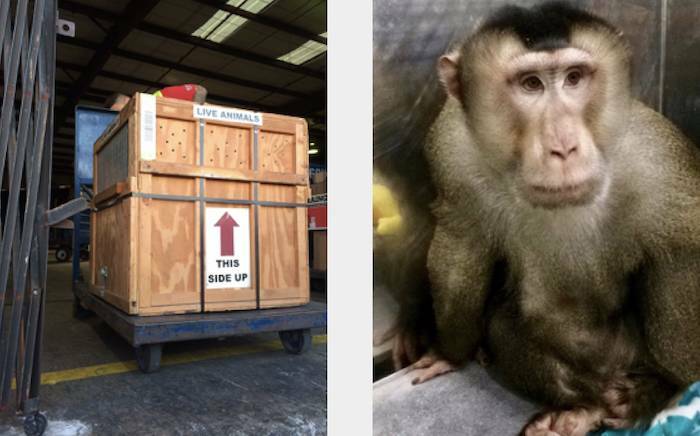 Say hello to Skeeter, a 14-year old pigtail macaque, who had been purchased from a monkey breeder in New Orleans right after Hurricane Katrina and brought to a small town in North Carolina where he’s been ever since. Skeeter’s owners treated the monkey, as is often the case, like a human primate, and fed him human food, got him addicted to television, and we later found out, neglected to get him any veterinary care—likely because it’s not legal to have a monkey as a pet in the town he was living in. Now, however, Skeeter's life has taken a turn for the better. We are committed to Skeeter’s rehabilitation and well-being for the remainder of his life, and will do our best to ensure that he has the best life possible! 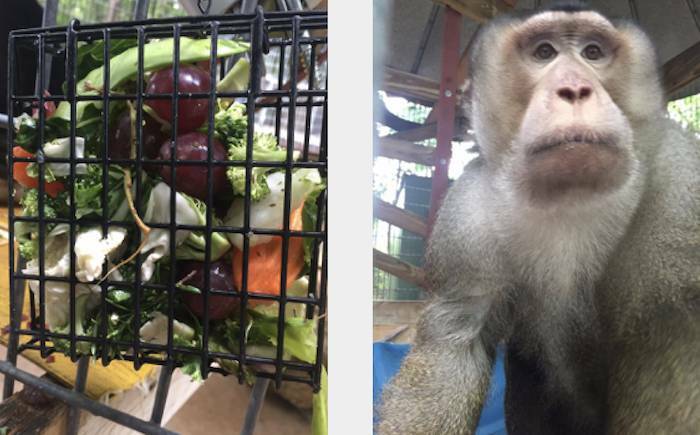 He has already been exercising and snacking on monkey biscuits and vegetables (you can see some of what was in his "salad bar" this week below).